Pullman, Washington (January 10, 2019)--Washington State University researchers have discovered the way plants respond to disease-causing organisms, and how they protect themselves, leading the way to potential breakthroughs in breeding resistance to diseases or pests. The results were published in the journal Plant Physiology and describe how plants respond to a molecule released during damage caused by infection or outside entities. The paper shows how adenosine 5 triphospate (ATP), a part of DNA and energy production in cells, becomes a signal for injury or infection when outside cells. That signal triggers defense responses in plants. 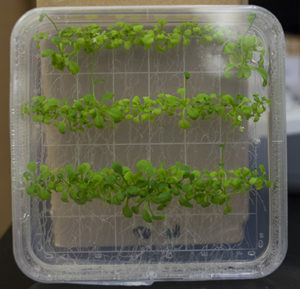 "We found the pathways that connect ATP to plant cell responses protecting the plant," said David Gang, WSU professor in the Institute of Biological Chemistry. The science behind this is exciting, but the major impact on society will come from the future use of this information, said Kiwamu Tanaka, assistant professor in WSU's Department of Plant Pathology. 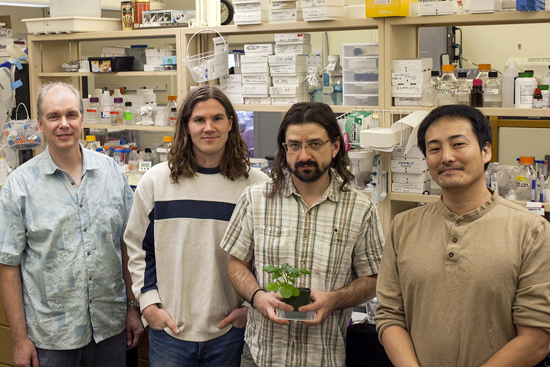 "This is a blueprint for how a plant's immune system works," Tanaka said. "In some respects, even the most innovative breeding programs are still groping around in the dark to build resistance. But if you have the blueprint, you can reach the goal much faster." Gang compared it to a common experience people have with automobiles. "If your car isn't working right, you often have to take it to a mechanic because cars are so complex now," he said. "They plug the car into a sensor and can see the problem quickly. If I did it, I'd have to guess and hope I get it right. That's how traditional breeding is, much of their work is challenging because they have to work with so many complex potential solutions. Now they'll have a schematic to eliminate a lot of that extensive effort." To find the correct pathways, the research team used wild plants as well as plants changed in the major pathways of plant defense. The scientists would trigger an ATP response in a modified sample to trace the signal's path to the receptor, then reproduce that in the other samples. It was time consuming science, with a big payoff, said WSU postdoctoral researcher, and lead author on the paper, Jeremy Jewell. Arabidopsis thaliana (mouse-ear cress), a model organism in plant biology, was used in the experiments showing how ATP sends distress messages to surrounding cells. "It was like following a single noodle in a huge bowl full of them," Jewell said. "Extra cellular ATP turns on defense responses partly through these major defense pathways, and partly independently of them, but all these strands work together. When we found new players in this immune pathway, it was a great feeling." ATP is an energy molecule that is necessary for life to function, Tanaka said. It's very well researched and understood inside of cells. But ATP fundamentally changes when it is outside a cell in an organism. "Extra cellular ATP is a damage signal to the surrounding cells," Tanaka said. "ATP is only outside a cell when something is damaged, so it's a perfect trigger for immune responses." The receptor that receives the damage signal ATP was found in 2014, but until now scientists didn't know how this signal caused an immune response in plants. "Future plant breeding can now increase plant defense or resistance based on knowing these pathways," Gang said. "They can be bred to respond faster, or to not waste energy by turning on the entire immune system if only a specific defense is required. The potential for this is pretty incredible for helping plants and crops." Funding support comes from the National Science Foundation (IOS 1557813) to Tanaka and Gang.